From Liberty Hardware, the Clover knob accents your cabinetry or furniture with the look of of-the-moment jewelry. The modern shape is complemented by warm Champagne Bronze finish with a classic navy insert. This knob is ideal as a finishing touch or statement piece for your kitchen or bathroom. Update the look of your home with the help of the Liberty 1-5/8 inch Builders Grade Steel Bar Knob in Champagne Bronze. The classic, yet modern design adds sophisticated elegance to your kitchen or bathroom. Mounting hardware included for easy installation. Inspired by objects of royalty the 25mm Goblet Knob of the Martha Stewart collection by Liberty Hardware brings class and nobility to any kitchen or bathroom cabinetry. The high-quality zinc die-cast material provides a sturdy, long-lasting piece of hardware. The Bedford Nickel finish coordinates well with most decors as well as with other pieces of cabinet hardware. 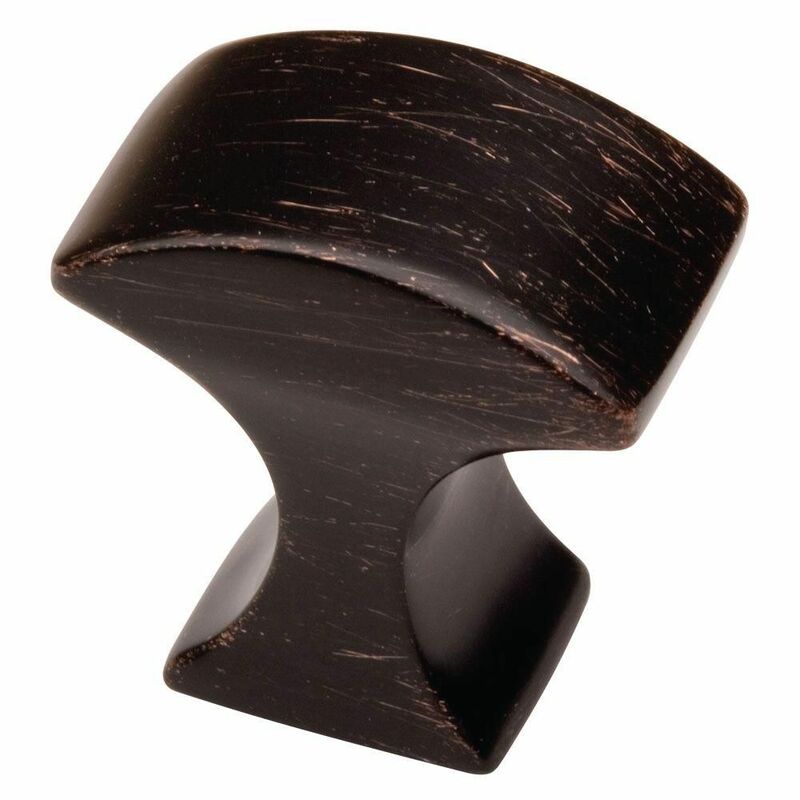 25mm Decca Knob is rated 4.8 out of 5 by 12. Rated 5 out of 5 by Troutman from These knobs are particularly attractive on our new Kraftmaid vanity and contrast well with the of... These knobs are particularly attractive on our new Kraftmaid vanity and contrast well with the off white color and trim. The price was reasonable for the elegant appearance it provides. Rated 4 out of 5 by Anonymous from Great These looked exactly like the picture color was what I wanted. They were just slightly smaller than I expected. Rated 5 out of 5 by Dusty from Looks great! Easy to assemble. Looks great. Easy to order and pick up/. Rated 4 out of 5 by Linda325 from Just what we were looking for! We wanted knobs/pulls for our new kitchen, and these fit the bill. I like that they are unusual, clean-looking, have a warm finish, and that they have a small pin in the back which keeps them from spinning. Since we needed over 30 of them, we ordered them online and had them delivered to the house. Keep in mind that these have a "brushed" finish, which causes no two to be identical. I simply sorted them all by finish and told my guy which ones I wanted to be installed near each other. We love the way it finishes off our space! Rated 5 out of 5 by jj2g from Great product These knobs look great and protect your wood cabinets and doors from messy finger prints. Updates your kitchen.